Old map by LOTTER - A plan of the City and Environs of Philadelphia. . . 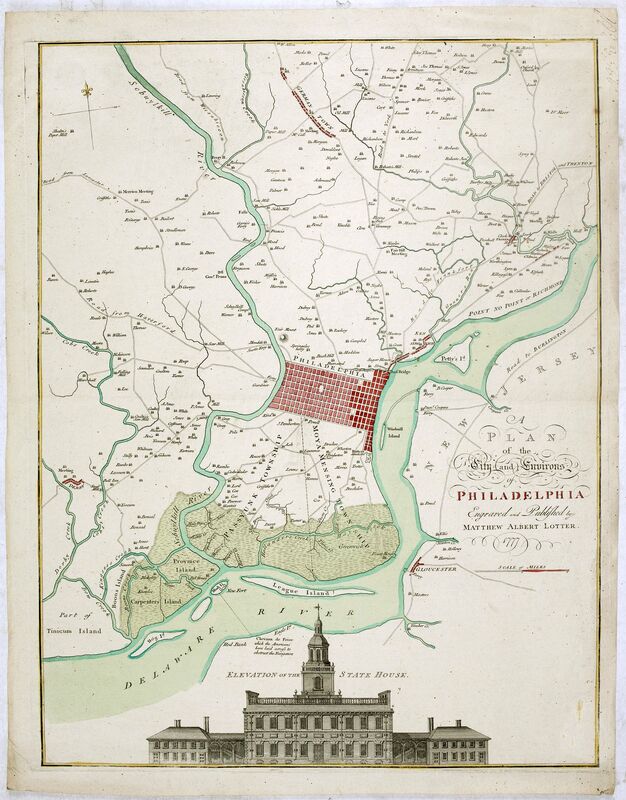 Title: A plan of the City and Environs of Philadelphia. . . Size: 23.3 x 17.9 inches. Condition: Slightly age toned as usual, a good and dark impression. The Lotter edition of Scull & Heap's seminal Philadelphia map, which map was first issued in 1752. Holmes' grid plan for the city is shown, situated between the rivers, and numerous outlying 'country seats' are placed and named, with the primitive road system also indicated.